Prime Minister Narendra Modi today again raked up the Sabarimala temple issue and said the communist government in the state has been disrespecting all aspects of Kerala’s culture. He also lambasted both the Congress and Left Democratic Front (LDF) for having no regard for women’s empowerment, best exemplified by their opposition to the NDA government’s efforts to end triple talaq. “Let me tell you, neither Congress nor the communists have any concern for women’s empowerment. If they did, they would not have opposed the NDA government’s effort to end triple talaq. India has had many women chief ministers, but is there any communist chief minister?” he asked. On the Sabarimala issue, PM Modi alleged that the cultural ethos of the state was under attack from the communist government. “Unfortunately today, the cultural ethos of Kerala is under attack. And this attack is being made by the party governing the state. The issue of the Sabarimala temple caught the attention of the entire nation,” PM Modi said. “The people of India are seeing the manner in which the communist government of Kerala is disrespecting all aspects of Kerala’s culture. I fail to understand why the communists are undermining our culture and civilisation which has stood the test of time. The UDF too is just like the communists,” PM Modi said. “India’s strength lies in its democracy. It is from our land that democracy had spread to the world. Elections will come and go, but the nation will remain. 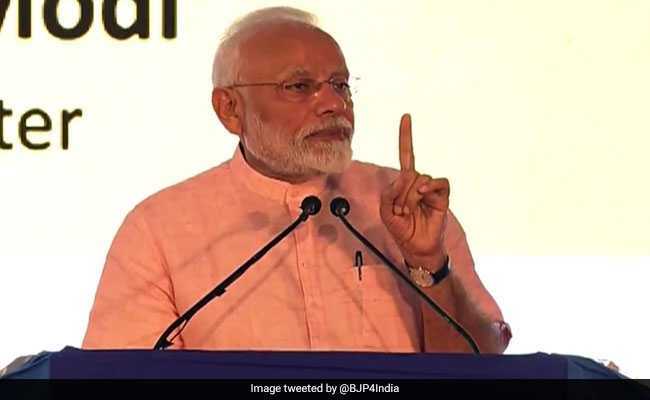 In their dislike for Narendra Modi, the Congress and the communists and their other friends should stop disrespecting institutions and our democracy,” PM Modi said. The prime Minister said that these parties, in addition to opposing India’s culture, had one other thing in common – corruption. “In the last three years, so many LDF ministers had to resign. Why? Congress history is also well known,” he added. “Four years ago you chose me as your chowkidar (guard) in Delhi. I am there. I shall not allow corruption. I shall not allow the nation’s culture and unity to be destroyed,” he said.